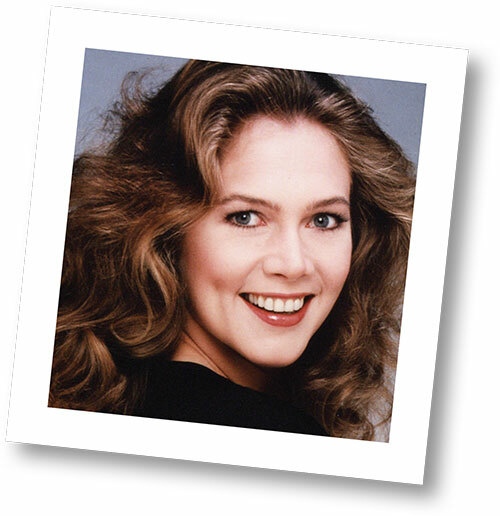 Actress Kathleen Turner once proclaimed: 'On a night when I feel really good about myself, I can walk into a room, and if a man doesn't look at me, he's probably gay.' It's the kind of provocative statement that could have been delivered by any one of the smouldering yet tough-as-old-boots vixens she has played in films such as Body Heat, Romancing The Stone and The Jewel Of The Nile. Although she was one of the most bankable Hollywood stars of the 1980s, today Kathleen, 60, is the first to admit her days as a big-screen leading lady are behind her. Instead she has had to contend with the ravages of rheumatoid arthritis (RA), and the bloating side effects of powerful medication and multiple surgeries used to treat it. But the tumbling, honey-coloured hair and that voice - most famous for providing the gravelly tones of Jessica Rabbit in Who Framed Roger Rabbit - remain, and after more than two decades battling symptoms, Kathleen says she is 'in a really good place now'. 'I've just come back from Pilates and I'm feeling good,' she says, relaxing with her cat Simon in the London flat she is renting while appearing alongside Ian McDiarmid in Bakersfield Mist at the Duchess Theatre in London. Her condition - and the chronic pain that became a way of life - is now under control, but it has been a long journey. 'I was diagnosed when my daughter was five - she's 26 now. That's how long I've been fighting this thing,' she adds. At the time of Kathleen's diagnosis, there was speculation that alcoholism was to blame for her dramatically changed appearance. 'The drugs blow you up like a balloon - it's pretty ugly,' she explains. 'Quite honestly, my looks simply weren't a priority. It was hurtful to have people assume things about you, but it simply wasn't as important as just surviving.' But then, Kathleen did start to drink as a way of coping with the pain. 'I made that mistake for a while. You can't get away from it [the discomfort]. It's not like you lie down or you stand up or you find some other posture that will lessen it. It doesn't because it's in your bones, in your joints. There's no way to escape it - it's a constant companion. You just get more used to it. 'And I discovered that, lo and behold, alcohol is a painkiller. For some reason I thought, "This is what I'll do," until I realised that it was interfering with my work, so that had to stop. Bad enough that I had to deal with my lack of mobility, I couldn't also have a lack of focus.' New medication and devotion to exercise have been key to Kathleen's recovery, but she also wants to talk about an unusual remedy that, along with conventional treatments, she claims has been remarkably helpful: £39.95 copper insoles. Called Copper Heelers, they were first recommended to her 14 years ago by her friend, actress Maureen Lipman, who had found they reduced her own shoulder pain. 'My identity was so wrapped up with being able to move that this left me so badly shaken. When you can't walk up stairs, or you can't open a bottle and you can't put shampoo in your hands… it was quite devastating to be so helpless.' After her dalliance with alcohol, Kathleen decided to fight back. 'They told me I would end up in a wheelchair for the rest of my life. Well, that was never going to happen, not as long as I could walk and talk. I fired that doctor! Kathleen tried alternative therapies, including acupuncture and homeopathy, began to eat as healthily as possible and became as active as she could. In addition to yoga and Pilates, she was, in her words, 'doing eight shows a week'. She relaunched her theatre career, winning plaudits for her starring role as hard-drinking Martha in Who's Afraid Of Virginia Woolf in the UK and US. It's the role of which she is most proud. In the late 1990s, the advent of biologic drugs, which work on the immune system reaction that drives the disease rather than simply reducing inflammation, revolutionised treatment for RA patients. Copper has been used by alternative practitioners in the treatment of pain for centuries. It's an essential trace mineral, and many people, particularly the elderly, are thought to be deficient in it. The theory behind Copper Heelers is that the metal within them is absorbed through the skin and circulated to relieve pain. Although there is no conclusive evidence that they work, there is soon to be a major trial. Professor Albert Singer, Emeritus Professor of Gynaecological Research at the Whittington Hospital, London, used the insoles to treat his own osteoarthritis, and was so impressed by the improvement in his condition that he designed a small study. It found that 96 per cent of patients reported an improvement in symptoms. Copper Heelers cost £39.95 plus p&p from theoriginalcopperheeler.com.